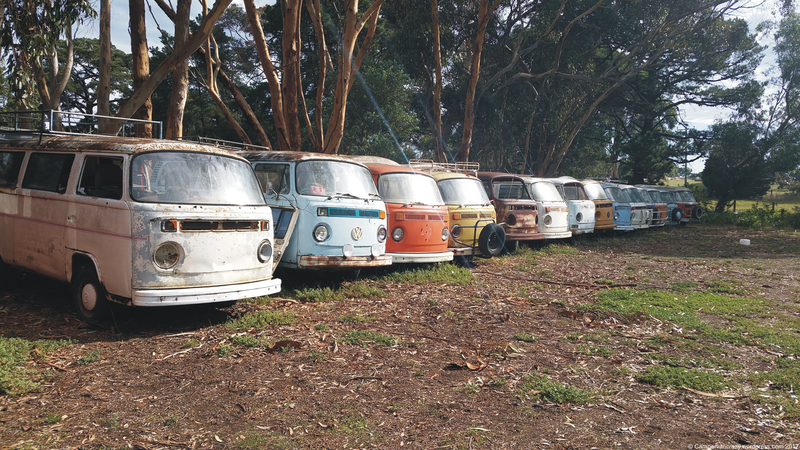 Last weekend was a special treat for me as the kombi fan in the family. Our friends Jodi and Campbell rented a campervan from Hire-a-Kombi and we spent a camping weekend together on the Mornington peninsula. So last Saturday, we picked up the camper together. 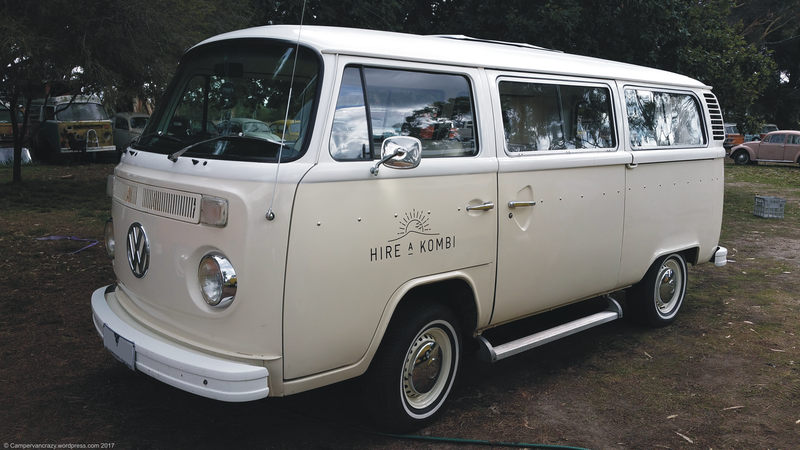 Hire-a-Kombi are located on the Bellarine highway (1830 Bellarine Hwy, Marcus Hill VIC 3222). 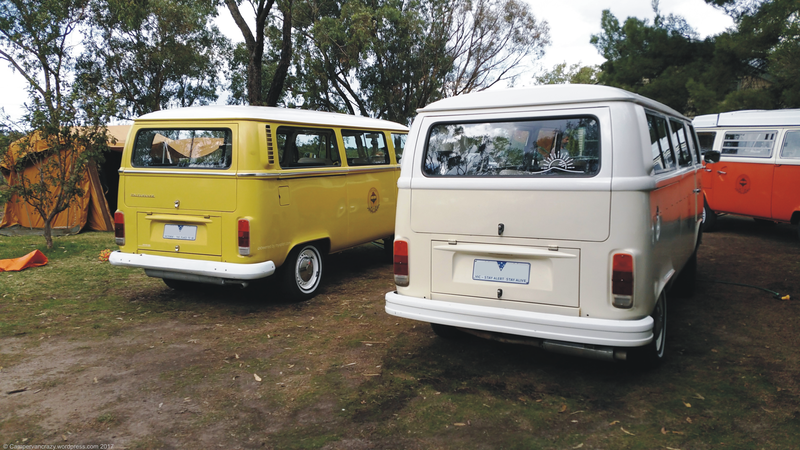 On that day, three of their eight kombis were getting ready for pick-up: In addition to our campervan “Clancy”, an orange-and-white 1974 Westfalia camper, two eight-seater buses were ready for use as wedding limousines: Layla is a mustard-yellow T2ab hybrid from 1972. Harriett is a cream white T2b late bay window bus. 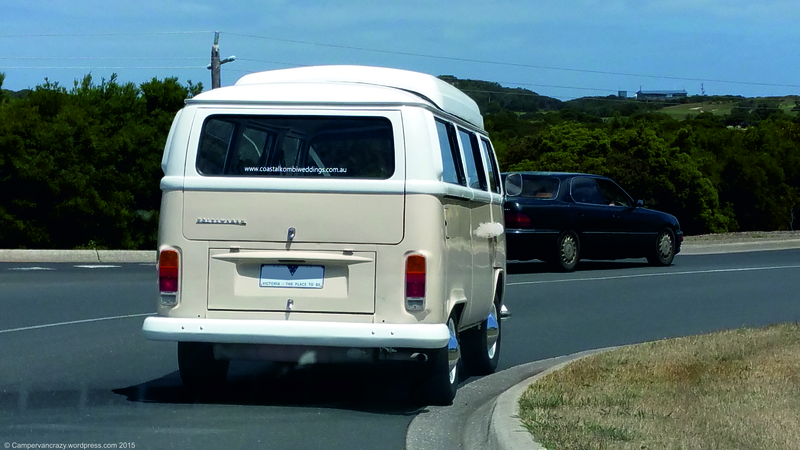 And there was another beautiful kombi that looked ready for action, an orange Sopru campervan (see this older post on another Sopru). The color could be Riverina Orange (Australian VW color code CLR722). 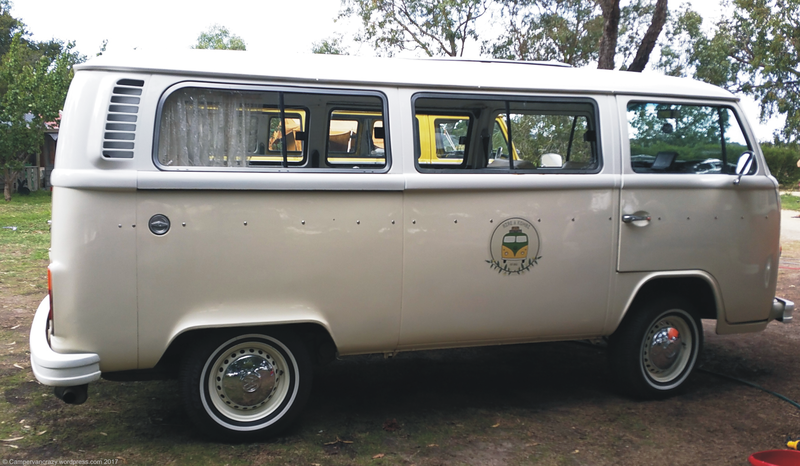 She is not yet on the web site of Hire-a-Kombi, but perhaps about to join the fleet soon? In addition to these ready-to-drive kombis, there was an amazing armada of old kombis and campervans, lined up along one side of the property. Some are future projects, some others may serve as spare part supplies. We had stumbled over this kombi parade already at the end of 2015, see this older blog post, but it was, again, an impressive sight. 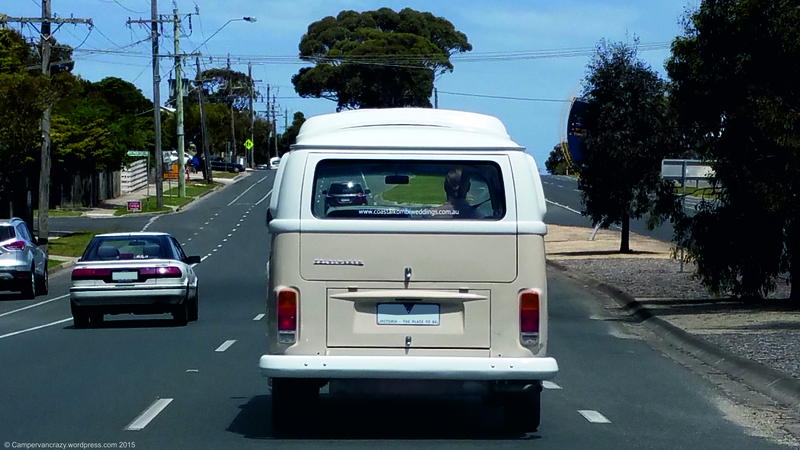 Great start into our “kombi weekend” – more to come soon! 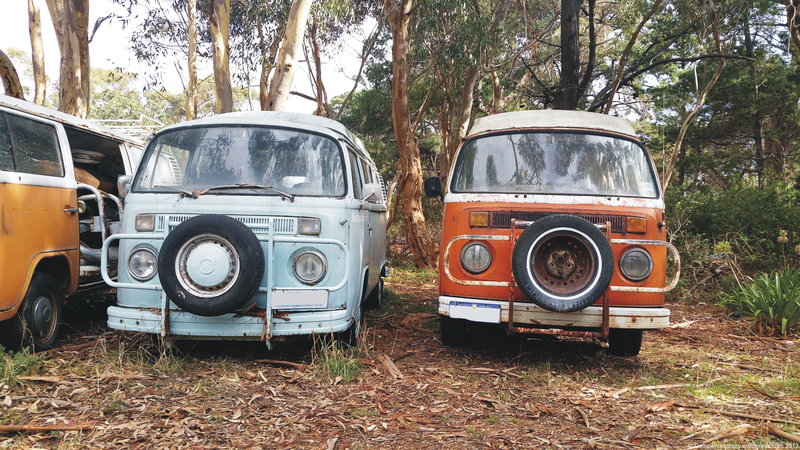 We thought it cannot get any better with seeing VW buses everywhere in Australia, and then we saw this: A parade of eighteen kombis set up in the front garden of a property on the Bellarine Peninsula, a few kilometers east of Geelong. We did not have much time, so I just took a few snapshots from the fence and did not ring the bell to ask what this is all about. 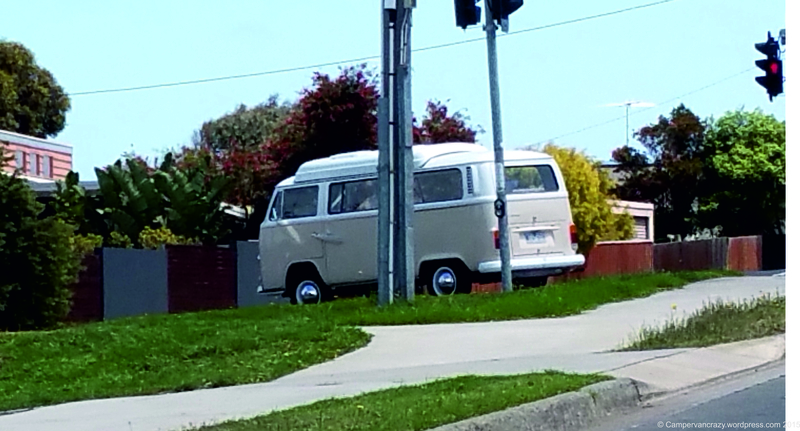 But googling for the address later on solved the mystery: This is the head quarters of “Hire-a-kombi”, a new VW rental company which recently moved here from Melbourne. Their website shows they have five VW buses on the road and ready for rental. So the rest will be future additions to the fleet or sources of spare parts. Wishing you all a great New Year and all the best for you and your families and friends! 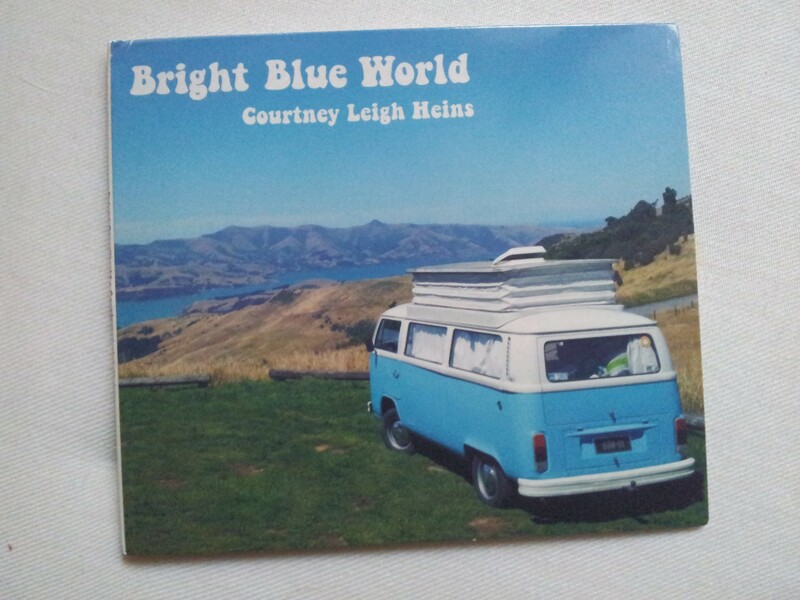 Our New Zealand Camper on a CD Cover! One of our photos from last year’s trip through New Zealand has just made it onto a CD cover! 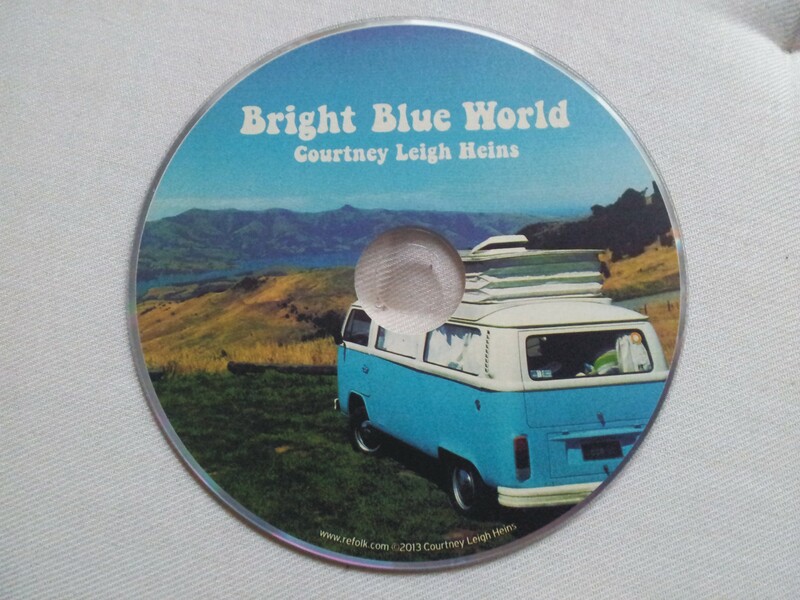 The bright blue campervan “Number 5” from Classic Campers now graces the cover of the new CD “Bright Blue World” by Courtney Leigh Heins, a singer/songwriter from Los Angeles. Courtney found the photo on my Flickr photo stream, fell in love with it and asked me whether she could use it for the cover, which I gladly agreed to. The kombi, a 1975 late bay Devon camper, was parked on a rest site along the Summit Road on the Akaroa peninsula on the South island, overlooking the bay formed by an old volcanic crater. Here is the link to the Akaroa blog post and to the complete New Zealand road trip. The original photo is from the NZ album on my Flickr photo stream. Check out Courtney’s new CD – great music! You can find a video of one of the songs on the CD, “We were young”, on YouTube. Now Courtney generously sent me several CDs and I’d like to give five away to readers of Campervancrazy. If you’d like a copy, please say so in the comments below! Berlin Bulli is no more. 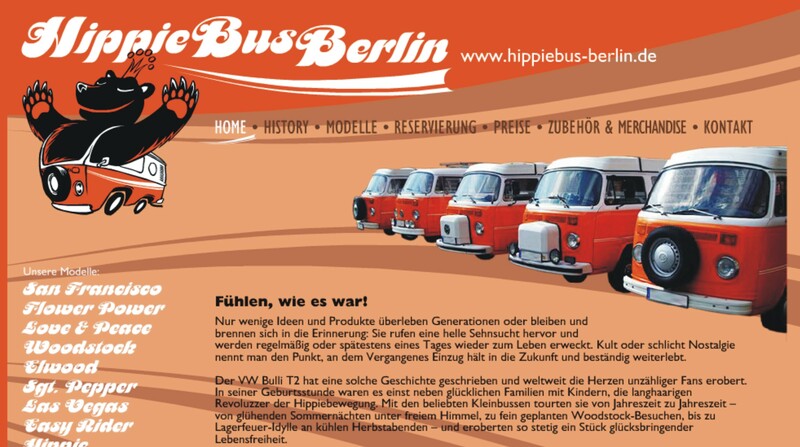 But the Berlin-based VW campervan rental has reinvented itself as Hippie Bus Berlin, a subdivison of a Berlin classic car rental company called Classicdepot. I had mentioned in a previous post that Volkswagen was suing Berlin Bulli for illegally using the name “Bulli”. 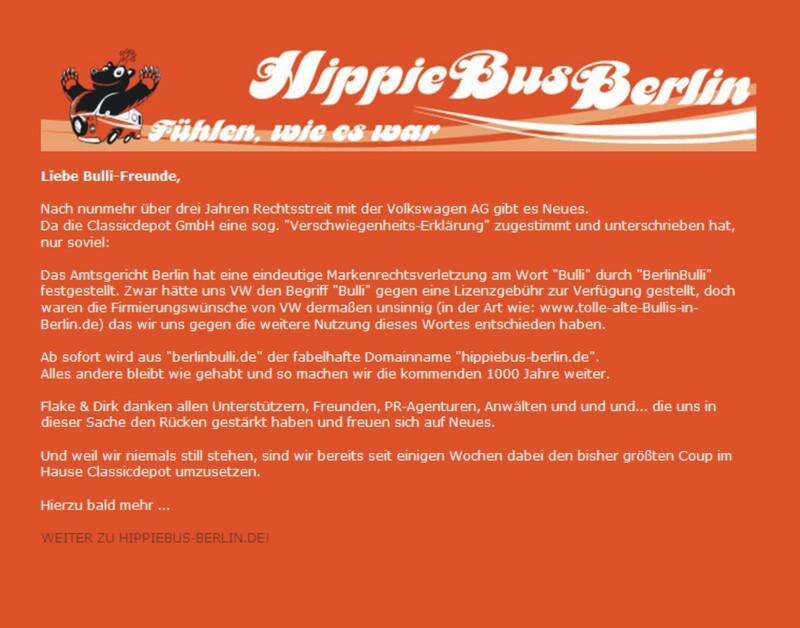 Now an extra web page from Hippie Bus Berlin explains in German that they have given up the fight and changed their name. 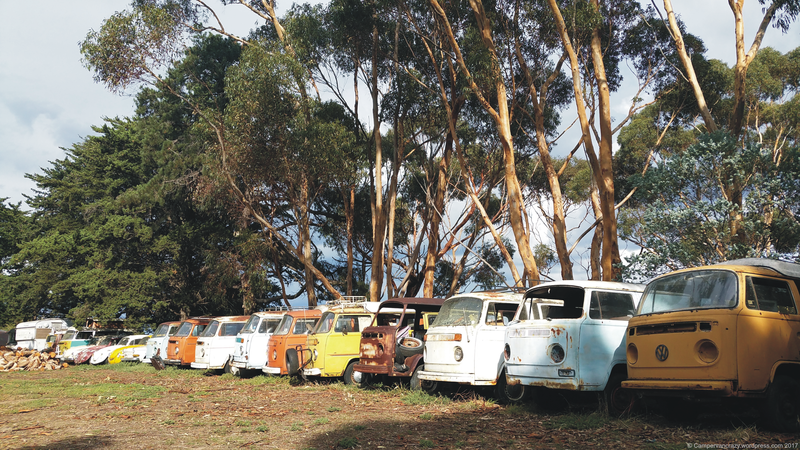 Their fleet is still the same and consists of thirteen bay window Volkswagen buses. The majority are orange and white late bay Westfalia campervans, but they also have a T2a campervan, a T2b ice cream van (see earlier post) and a T2a cherry picker on offer. When we met Gavin and his winning bus at the Berlin VW Bus Festival in August, we learnt about another VW bus rental: Happy Highland Campers are based in Inverness in the Scottish highlands. 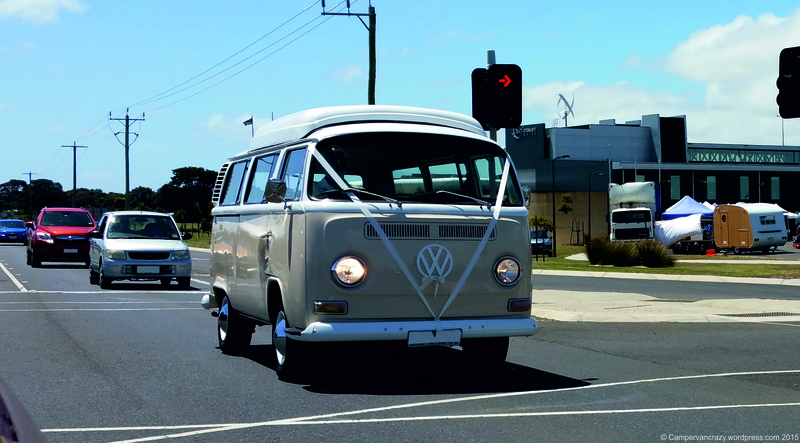 I just looked up their web page: It is a family-run business with four baywindow VW campervans (two T2as and two T2bs) and, as their latest addition, a split-window, reserved for wedding hire. Browsing their page really made me want to go to Scotland on one of our next trips! 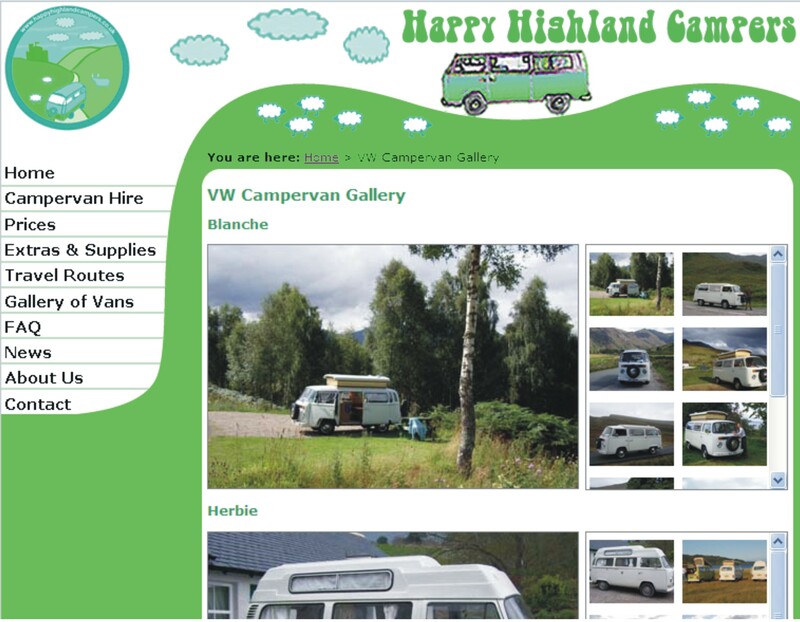 If you plan to travel to Scotland in a VW camper, another useful site may be the Inverness based Highland VW Club. 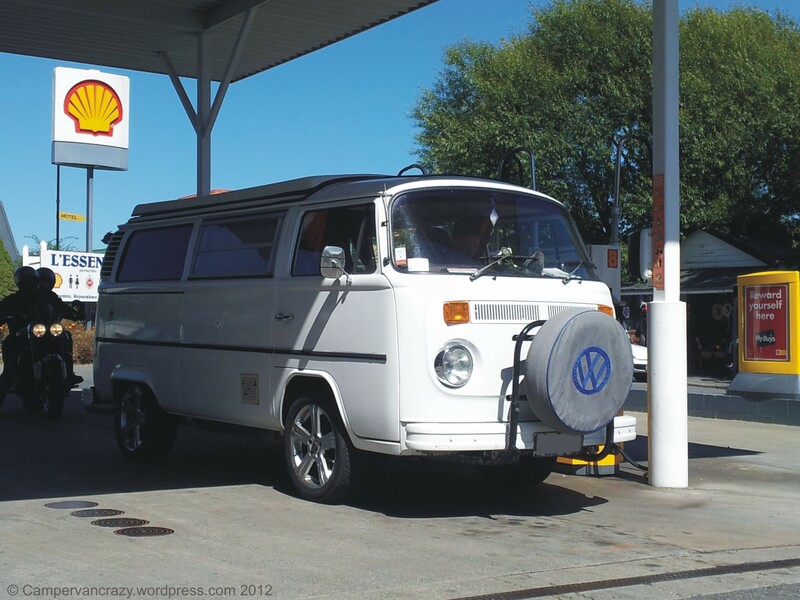 If you are looking for other classic Volkswagen bus rentals, Zero-to-sixty-eventually has started collecting them on his VW campervan blog. When you are a kombi nerd and plan your visit to New Zealand, there is a second rental company that will provide you with a proper Volkswagen campervan: In addition to Classic Campers in Auckland which we rented our 1975 T2b Campervan from in February, there is Kiwi Kombis, also based in Auckland. 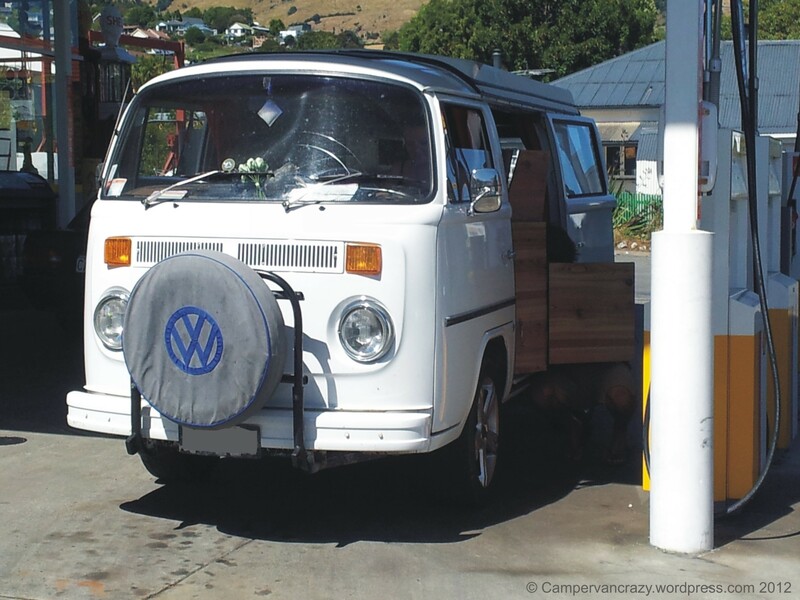 We met a British couple in Akaroa with a T2b campervan which was Van Nine from Kiwi Kombis. We realized later that we had already bumped into one of their vehicles, a beautiful 1962 T1 campervan which I blogged about in Feb and which later turned out to be their Van Five, called ‘Coffee ‘n’ Cream’. For their fleet of beautiful buses (5 T1s and 4 T2s), check out www.kiwikombis.com. As I understand, with both companies you can also pick up their buses in Christchurch and drive them up to Auckland. If you are still open whether you want tour NZ from Auckland to Christchurch or the other way around, it makes sense to contact these two companies. Most likely there will be better deals where they give you a bus a little cheaper because you transfer it in a direction that fits with their planning.